1. The town is absolutely gorgeous. Mayor Alain Juppé, who ran unsuccessfully for President this year. has been a very popular force for the new Bordeaux image over the past 10 years. He cleaned up the 18th and 19th century limestone building facades, installed a very cool and efficient tram system and rescued Bordeaux from backwater status. 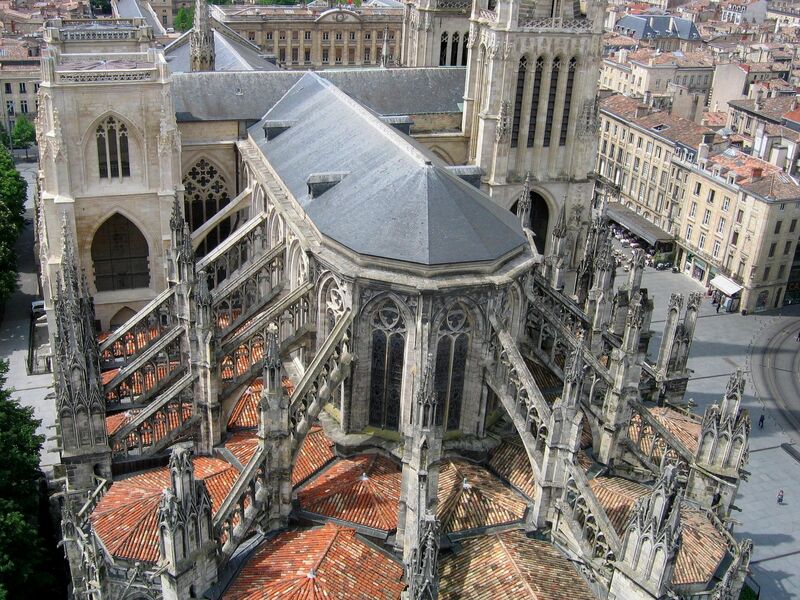 Bordeaux has the highest number of historically preserved buildings in France following just after Paris. 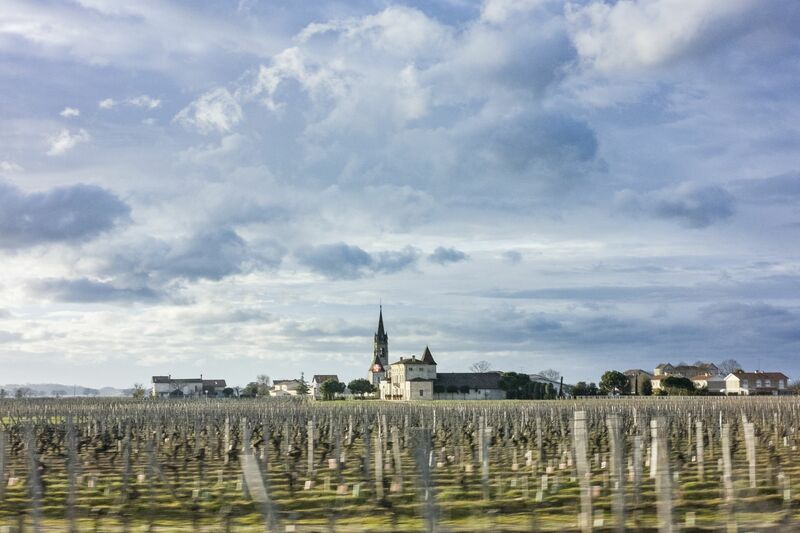 Bordeaux is much cheaper than its big sister, Paris. Catering to a mixed demographic of college students, immigrants, ex-Parisians and posh Bordelais, the town has plenty of decent apartment rentals that even a student can afford — and no you won’t have to share it with 10 of your closest friends. Affordability and a more relaxed vibe is why Parisians are moving here in droves. 3. You get serious sunshine. We have palm trees in Bordeaux. Average temperatures in winter typically hover in the 40’s and 50’s. 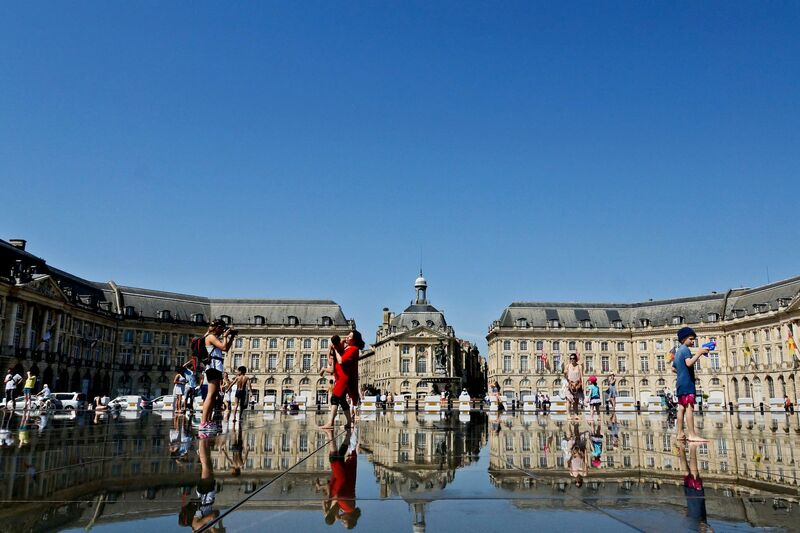 After Nice and Marseille, Bordeaux is one of the sunniest and warmest cities in France. When it’s raining in Paris its normally 10 degrees warmer and sunny in Bordeaux. 4. There is a perfect pace. In Bordeaux, the culture is not too sleepy, yet not too intense. Life in most major world capitals like NYC, Sydney, London, Tokyo, Paris or Rome is too hectic, too stressful and just plain exhausting after a while. Taking it down a notch to a city of just 240,000 lowers the blood pressure and may even extend your life. French people do live longer – a French women’s average life expectancy is 85 and growing. Plus you don’t have the loose the surplus of culture (think CAPC – the modern art museum housed in an ex-factory), great restaurants and serious architecture in the exchange. Bordeaux is now closer than ever to the capital. The TGV as of this July gets you from Bordeaux to Paris in just over 2 hours, making the city of light a bon-a-fide weekend destination. The trip used to take an ungainly 3 hours and 15 minutes. You’ll also pass countryside like this! Plus, Bordeaux is only 45 minutes from the crashing Atlantic Ocean to its west, complete with waves big enough to surf; the largest dunes in Europe (Dune du Pilat); and little beach-shack-style towns complete with tables overflowing with shellfish just waiting for your rosè-infused lunch to occur. And you won’t have to put up with the face-lifted social media frenzied crowd that you find in St. Tropez. 6. It is young and diverse. Bordeaux is a college town. The University of Bordeaux was established in 1441 and boasts a strong international program and a world-famous wine school. 50,000 students are enrolled here. Beyond students and typical French people, there are large groups of Italians, Spanish, Moroccan and Portuguese who have made their home in Bordeaux, as well as a decent amount of expat English and Americans. 7. Wine runs in the fountains. 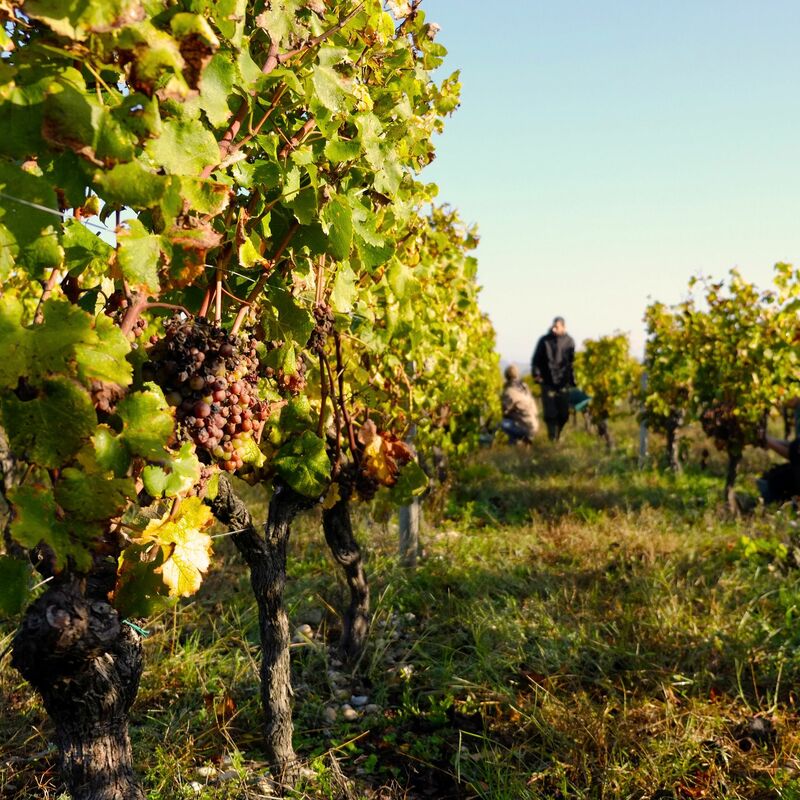 Bordeaux is the world capital of wine, full stop. They produce 700 million bottles a year of the stuff making it an eternally rich city. 14.5 billion euros are taken in yearly from the wine biz. You can get your hands on a drinkable bottle nightly that will cost you as little as 3 euros. The town I live in near Bordeaux has a wine cooperative. Here you can go in with an empty wine bottled and refill it via tap for just 2 euros. Their pink sparkler is only 6 euros. Of course, some of the best and most expensive bottles of wine are also made in this region and you can learn about them all at the new La Cite du Vin – the world’s largest wine museum. After you explore the museum, you can visit a vineyard every day between now and your last day on earth and still not be able to visit them all. 8. The Queen of England is a huge fan. Working with stellar ingredients like Cap Ferret Oysters, local chevre, locally raised caviar and farm raised duck, makes it easier for chefs to create next level cuisine in the Southwest. You can find a Michelin-worthy restaurant around nearly every corner, due to modern French chefs who have combined local traditions like Bordelaise sauce, and canelés (a pastry made from the left-over yolks from the egg whites once used to refine wine) with a creative modern fare. 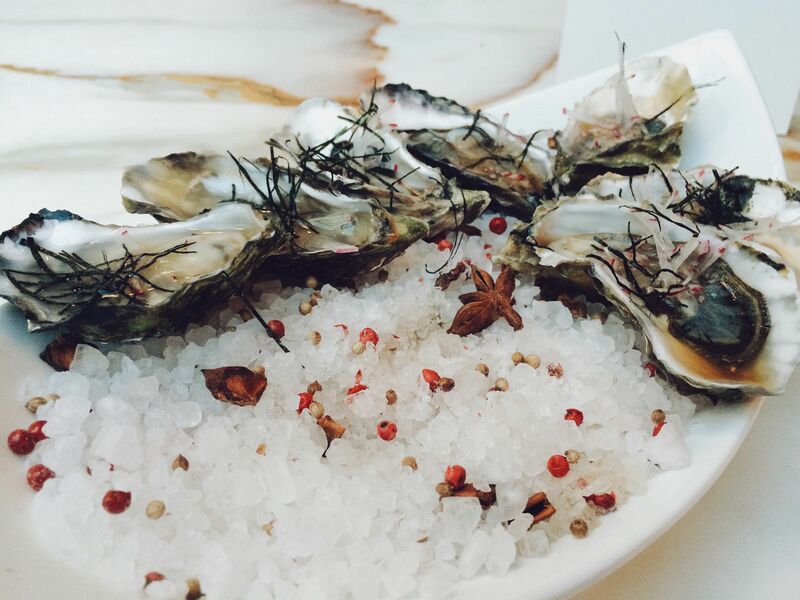 My favorite foodie experiences in Bordeaux range from slurping oysters at an oysterman’s shack near Archachon to dining on the fruits de mar platter at Fernand on the quai – I love picking tiny bits of meat from periwinkles with a pin and spreading seaweed infused butter on my bread. For serious culinary escapades, I head to Le Quatrième Mure, TV Chef Philippe Etchebest’s newest haunt or watch the sunset at le 7 restaurant on the roof of the Cite du Vin. 10. A river runs through the city. The Garonne river is the basis of Bordeaux and its history; the river used to carry boats filled with the newly corked wine bottles out to sea and up to England. Follow that river south and turn west and you’ll run into the Basque region and its delightful capital of St. Jean de Luz, a beach town backed by the Pyrenees mountains. This area is home to Basque striped linens and the espadrille, which has been made here since the 14th century. Heading further south another 30 minutes you’ll be basking in the sun in Spain and eating the best tapas in the country in San Sebastian, just over the border.